Step by step instructions to being a part of a thriving Odyssey community. The Social Media Director is responsible for working towards developing keen and astute packaging of pieces on a weekly basis - is a contributing editor so on the weekend they can see all pieces and work toward the packaging. Specifically, it is the job of the Social Media Director to work on producing high-quality cover images, headers, sub headers, and intro paragraphs. Also in charge of helping to disseminate team’s content across different social media channels. 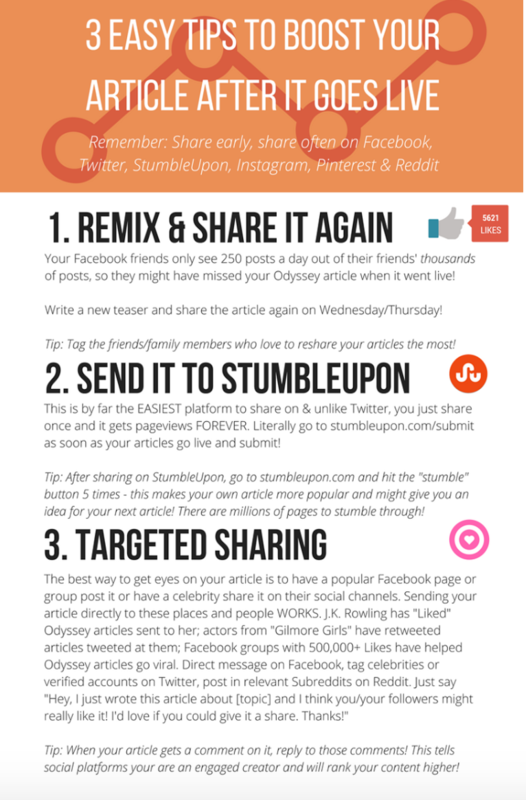 Rally the community behind content shared to Odyssey's owned social pages. Objective: Commenting, liking, and sharing from Odyssey's Facebook page[s] increases a piece of content's traffic. A Content Strategist or EIC will notify the Social Media Director when a piece of their community's content will be scheduled to appear on Odyssey's owned social pages. Objective: Get new content trending that has been posted during the current posting cycle. Encourage Creators to share their own content, but don’t hesitate to help them with smart sharing. Objective: More Creators that submit content means there is more content for you to work with on social media. More Creators are more likely to submit their content if other exec members, aside from the EIC, remind them about the deadline. It creates peer-to-peer accountability. Objective: Get everyone to share their articles in the group message or Facebook group. The first step in social sharing is always to share with your team members. This is also a good opportunity for Creators to get feedback on where else they should share their content, especially if they are stuck. Objective: Get in touch with your EIC and strategize for the week. This is a great time to start planning a team meeting or discuss your individual responsibilities. It also is for you as SMD to understand social media and be able to verbalize those things to your EIC. 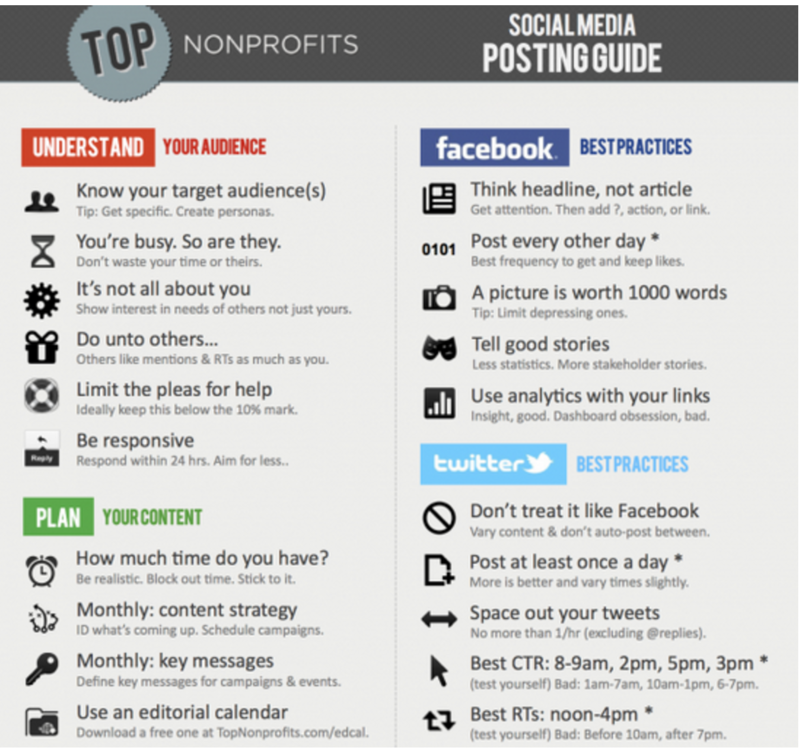 Objective: Highlight some relevant, evergreen content that has potential to take off again. Find specific FB groups to reshare or get the Creators to reshare their content again.